Town hall with a concert hall and a museum, built 1906-1910 by Stanley Hudson. It is almost an exact replica of the Belfast City Hall in Northern Ireland. 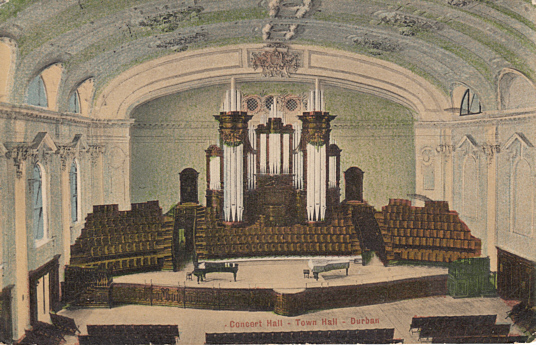 Front Text: "Concert Hall, Town Hall, Durban"